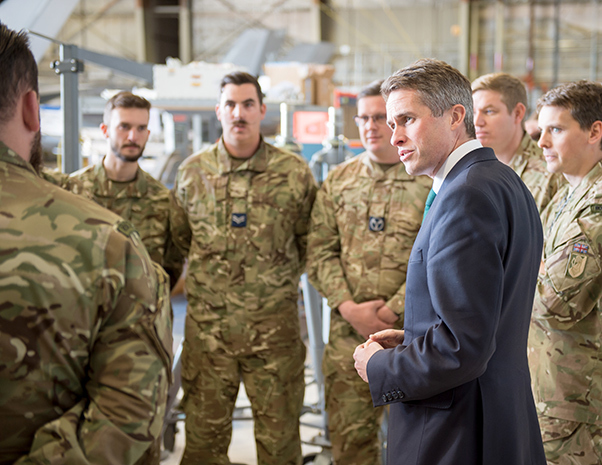 Secretary of State for Defence Gavin Williamson CBE with members of the Royal Air Force’s No. 17 Squadron, which is the organization on Edwards Air Force Base responsible for the operational test and evaluation of the U.K.’s F-35 Joint Strike Fighter, Dec. 2, 2018. 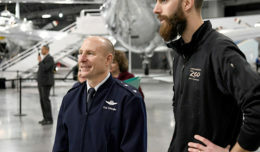 The United Kingdom’s top military official received an up-close look at his country’s new fifth-generation fighter Dec. 2, 2018. The secretary also met with Brig. Gen. Christopher Azzano, Air Force Test Center commander, and Brig. 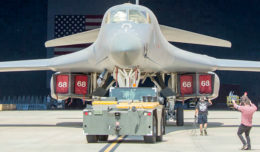 Gen. E. John Teichert III, 412th Test Wing commander. 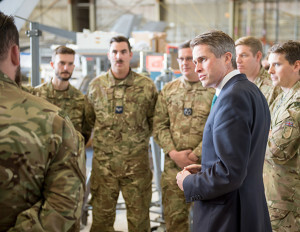 According to the U.K. government, Secretary of State for Defence Williamson has overall responsibility for the business of the department including strategic operations and operational strategy; defense planning; program and resource allocation; strategic international partnerships; nuclear operations policy and organizations; and strategic communications.